I have a story that is a different from many other personal finance bloggers. I think that many personal finance nerds are born in the crucible of a giant, finite goal, like debt repayment or building wealth for getting into self-employment or early retirement. I felt I had to learn about personal finance just to avoid screwing up with my money. I wasn’t exactly a financial blank slate when I graduated from college, but I was close. 1) My parents (and school) taught me nothing about money growing up, but what I absorbed from observing them was spendthrift behavior, that “cash is king,” and to never quit a job before having another one lined up. That’s it. 2) I had managed my checking account during college, which basically just amounted to depositing my workstudy paychecks and not overdrawing my balance while buying groceries. 3) I had about $17,000 in federal student loans, plus an informal obligation to help my parents pay the loans they took out for my education. I was planning to apply to PhD programs, but for the first year after undergrad I did the postbac program at the NIH. I was a full-time research assistant, and my pay was a fellowship, which allowed me to defer my student loans. However, my yearly salary was only $24,000 and I was living in the DC area. For the first six months I lived with my parents, but due to the long commute and familial conflict on January 1 I moved into a house nearer to the NIH that I split with three other postbaccs. Looking back on it, especially in the period when I was living on my own, I had a crazy ‘budget.’ I was taking home $1,800 a month after taxes (which I had to pay myself through quarterly estimated tax payments), and I had $550 in rent, was giving $500 to my parents, $200 to my Roth IRA, utilities, food, cell phone, and the rest of my life. Thank goodness I didn’t own a car at that time! Basically, I could see right from when I got out of school that things were going to be tight and I had no room for error. And I knew this period would last for my postbac and then at least five additional years through my PhD, although thankfully I ended up moving to a lower cost-of-living area and stopped repaying my parents. I was also keenly aware of my lack of knowledge. I didn’t have any financial imprint on the world at the end of college other than my student loans and a checking account, and thought that should be different but I didn’t know exactly how. I was an avid reader so I naturally turned to books to help me learn about personal finance. The first book I read was Get a Financial Life: Personal Finance for Your Twenties and Thirties by Beth Kobliner, which was an awesome introductory guide. The book convinced my to start saving 10% for retirement immediately, which I guess was a pretty good message for a 22 year old. 🙂 In response to its advice, I also signed up for my first credit card and moved my primary checking to an internet bank. I didn’t do everything correctly from the get-go. I invested in cash, I didn’t have an emergency fund, and I took out a car loan. But I was started, you know? My interest grew over time when Kyle and I got married and I got involved with the PF blogosphere. And look how that journey has played out – $100k in combined net worth by the end of grad school! I’m so glad that I did develop that interest, even if it was just a little one at first. I think the big “why” question goes back to responsibility. I had a big challenge in front of me in terms of my low income and I just didn’t consider living beyond my means an option (‘means’ included saving back then and also tithing now). I knew I needed a good plan to make it through, so I learned a bit and developed one and refined it over time. 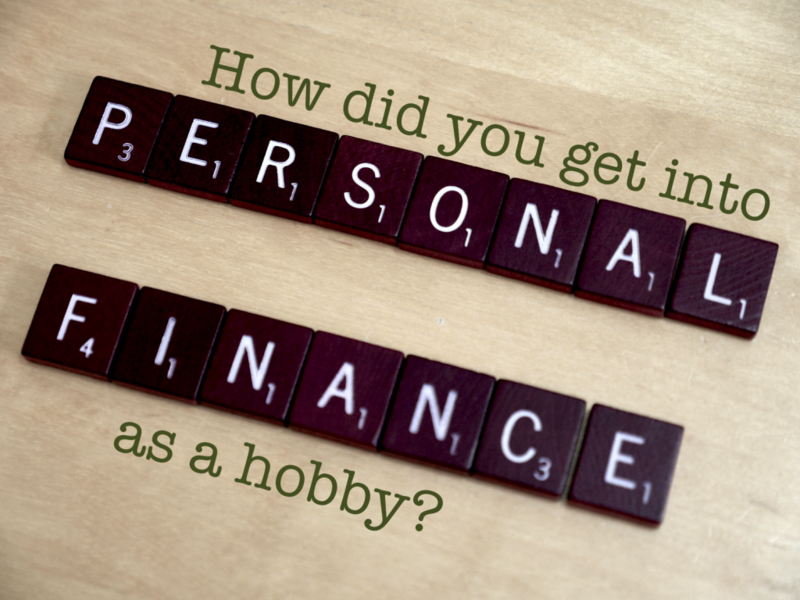 Why did you develop your interest in personal finance? What has been the biggest financial challenge in your life? 24 Responses to "How I Developed an Interest in Personal Finance"
Hmm. My parents have always been frugal. Not to the Mustachian level of frugal that I aspire to, but still, definitely more frugal than the average family. But I actually kind of had the opposite problem when I started as a grad student (Sept 2013) and actually had enough money to support myself – I spent most of the money left over after normal expenses on electronics stuff. I wised up after a couple months though. Around March I started thinking about how to invest my money. I found the Bogleheads forum, and throughout the following weeks/months many blogs (including Mr. Money Mustache and yours!) and never looked back. My story is boring in terms of challenges though. I never had student loans, and my parents gave me enough money during undergrad so I wasn’t stressed out about money. I really should get around to starting a blog. Oh and one of my labmates has left (decided PhD wasn’t for her, and took a full time job) but before she left I managed to convince her to max out her 401k contributions at her new job! She was originally going to just maximize her 401k match. She’s trying to convince her husband to do the same. Your story sounds more similar to Kyle’s, actually. For whatever reason, saving is more effortless for him – money just accumulates. From the start of grad school he was living below his means (after he bought his TV) but it took a little while for him to start investing. WOW I am very surprised you convinced anyone to max out a 401(k)! Your labmate must have a very high new salary! If they can do it that will be a major boon for them. Haha yea I just kept pushing at it. I had previously mentioned she should open an IRA (and after some conversation, she said she’ll open one) so she knew that I’m pretty well informed about this stuff. So when she got some info from her new employer about the 401k and the matching, I answered her questions, and kept on saying that she should max it out. After like a week of this, she finally agreed. It’ll be good for her – she’s the type of person that while she spends well within her means, if she has extra money sitting in the bank she’ll spend it. So 401k contributions are great for her – out of sight, out of mind. Her take home pay after 401k contributions and taxes is still higher than her net wages she made this year as a lab temp, so yup, she’s got money to spare for 401k contributions. She’s married, so that also helps! Great success story (for you)! I hope she follows through. It’s just mind-boggling how much of an effect that one simple decision will have. I had a monthly spending allowance from my parents and a part-time job all throughout college, so I learned the basics then. I really got interested in personal finance after working for awhile and realizing so little was sticking around! Like you, I want to be a good steward of my money. That seems like a good low-stakes situation in which to learn about money. And good for you for wising up to your post-grad money situation so quickly! I knew that I didn’t want to replicate my parents’ financial mess, they did some not great stuff that my sister and I bore at least part of the brunt of during college. It wasn’t fun, so I knew that wasn’t how I wanted to end up. Plus there was the fact that I knew if I ever failed financially I would have absolutely zero support from them. No moving back home, no occasional cash for groceries, nothing. So the motivation was there. The education then probably started with borrowing Millionaire Next Door from Mr PoP when we first started dating. (His mom had given it to him and insisted he read it.) That was followed by Rich Dad Poor Dad (also via Mr PoP’s mom) and then with Nice Girls Don’t Get Rich that I bought at a used book sale, and with some basics under my belt I was on my way. The Millionaire Next Door is an awesome book to start with to get you in the right mindset (whereas Get a Financial life is very conventional/tactical). I read that early on as well. Good thing you married into such a money-savvy family! I always like hearing bloggers’ back stories. Thank you for sharing! You’re welcome! We didn’t start blogging until a few years into this journey so I have to document those early years somehow! I love hearing about how others got started! I do feel like a lot of bloggers start because they’re in a dire situation. For me, it was having the epiphany that if I continued paying the minimum on my student loans, I’d be stuck in debt for far longer than I wanted. I found a slew of people accelerating their payments and was inspired to document my own journey. I think the upside to having a common/conventional PF blogger origin story is that you have a lot of company! There aren’t too many like me who struggled/struggle with a sustained low income and are just trying to gain their footing. I just got old (ok, “old” — 34 when I got my PhD) and realized that I wanted things in life that I couldn’t cash flow. Throughout my 20s, I assumed I’d just always be a starving artist/educator, and that as long as I could pay the bills I’d just keep doing that and “money wasn’t important”. So no big disaster or anything, just a total failure to keep a budget that allowed for long-term savings. I’m really aware of how fast things can go wrong for even the most frugal person — one go-round with cancer and everything could end up wiped out, even with health insurance — but I’d like to try to insulate myself a little bit. There are a lot of guys at the shelter I volunteer at who made good money in their time, on the oil rigs or in jobs like that, but who blew it all in one way or another and eventually got too old or too sick to keep going. Without family to fall back on, then you end up in a lot of trouble. I do have some fallbacks, and hope I continue to do so when I’m in my 60s, but I’d like to avoid total penury if I can so now I’m trying to not let everything that comes in slip out through my fingers! That is a great illustration of how you simply changed your attitude toward your own potential for wealth. Your examples go very well with my post for today – “make hay while the sun shines. My interest in pf was also born out of the challenge of a low income rather than anything crazy or some huge goal. I’m so grateful for it. It’s counterintuitive, but we are grateful for the financial challenge of grad school as well. All the lessons should pay off in spades if/when our income increases, but even if it doesn’t we’ll be fine. My interest in personal finance came via my interest in frugal, simple living. I’ve always been the frugal guru in our home and Mr. Frugalwoods has always been the investor, so we make a good team. In the last year though, I’ve become much more involved in the investing side of our money (and not just the savings side). Our interest now is defined mostly by our goal to move to a homestead, but, this represents more of a shift in focus than a real change in our overall fascination with PF. Fun to read more about your story–thanks for sharing! Thanks for sharing your origin story! It would be more common in our sphere to go early FI -> frugality but I like that your frugality is more organic. My hobby started when I spent my first salary. I realized that it was really difficult to save and to manage my own money. The thought of hard work I put into is something that influence me. 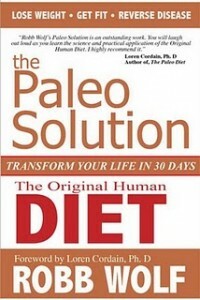 Thus, I looked for smart ways in saving money like reading related books and joining in forums. Great point about the hard work you do to earn your salary. It is a shame when there is nothing left to show for it a month later. I got interested when I got my first job and paycheck. When I got my first job, I had more money than I knew what to do with, or at least, I didn’t know what to do with it first. (I did have student loans and basically $0 in the bank.) I just didn’t know what the BEST things to do with my money was. My student loans weren’t overwhelming or anything, so it was just a matter of figuring out how to manage my money in an adult way. (If I remember correctly from some of your recent posts) What helped you decide to hold on to the student loans while making other financial goals a higher priority? Great post! My parents were never really frugal when I was growing up and they could only teach me so much about money. For me, my student loans definitely helped me realize my situation and look for ways to improve it and get out of debt. I then realized that I could change my life now and in the future by adopting better financial habits. Once my interest for personal finance was born, I was hooked, soaking up everything I’d learned like a sponge and trying to apply it. I feels exciting, like a new discovery each day and that’s probably why I could never get bored reading about PF. But if I didn’t go to college and take out loans, I’m not sure if I would have ever become this passionate about it, at least not at this point in my life. Student loans for you and a low income for me were really blessings in disguise! How long has it been since your transformation started?